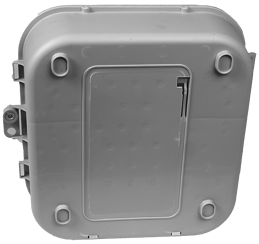 PPC’s Demarcation Enclosure (House Box), designed as part of the Entry Series, provides a secure environment for protecting and terminating any combination of drop components, coaxial cables and conduit. 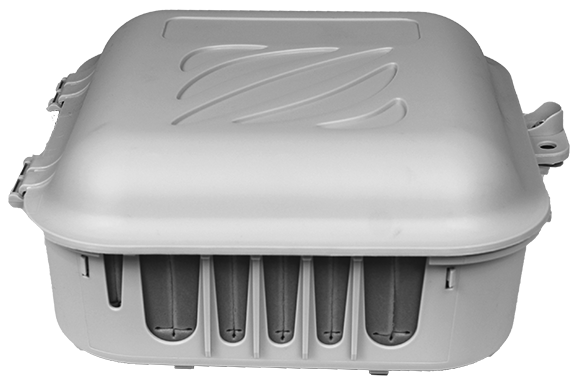 The enclosure is constructed of a copolymer impact polypropylene, which is durable and sturdy yet flexible. 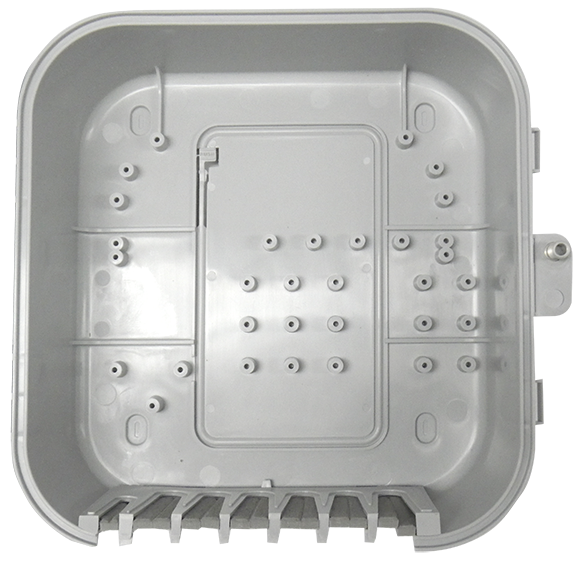 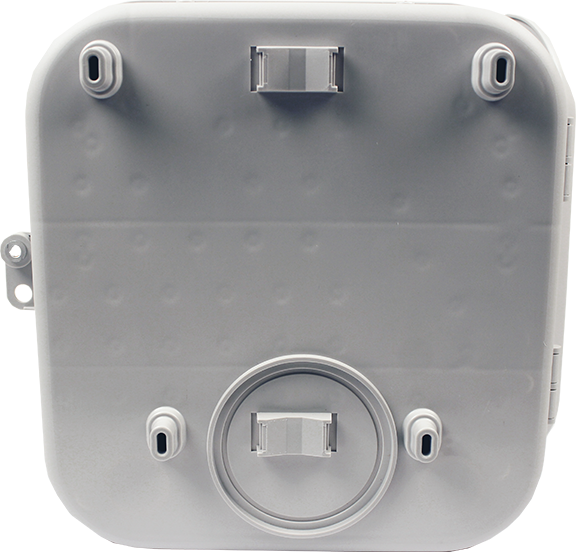 The 11 coaxial cable ports on the bottom of the enclosure allow for a clean and easy installation of coaxial cables, bonding wire and conduit. 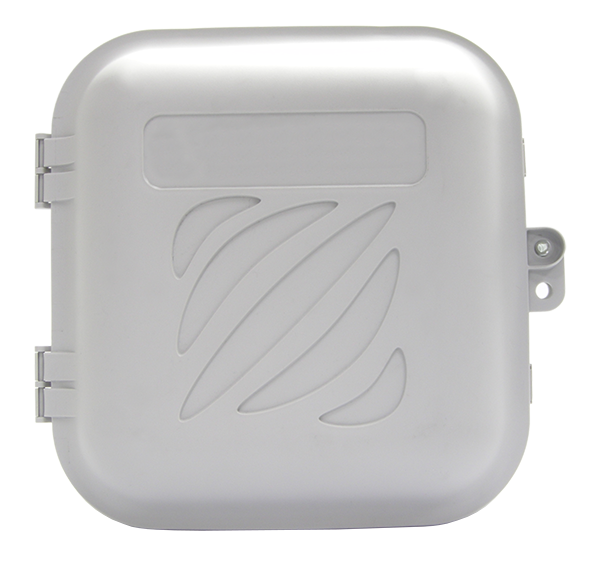 The internal mounting design allows for perfect Entry Series installations as well as any number of other passive or active devices. 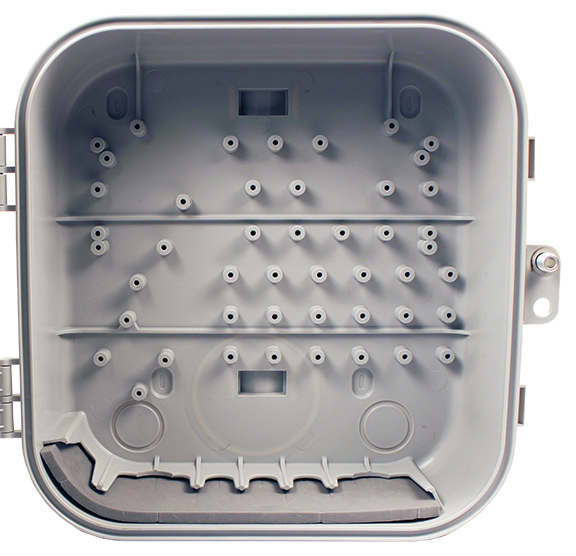 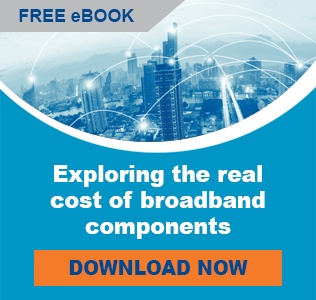 All mounting tabs are the same height and spaced in ½” increments in accordance with SCTE requirements.